Volvo Cars, the prestige car maker, will work together with Microsoft, the leading platform and productivity company, to jointly develop next generation automotive technologies. 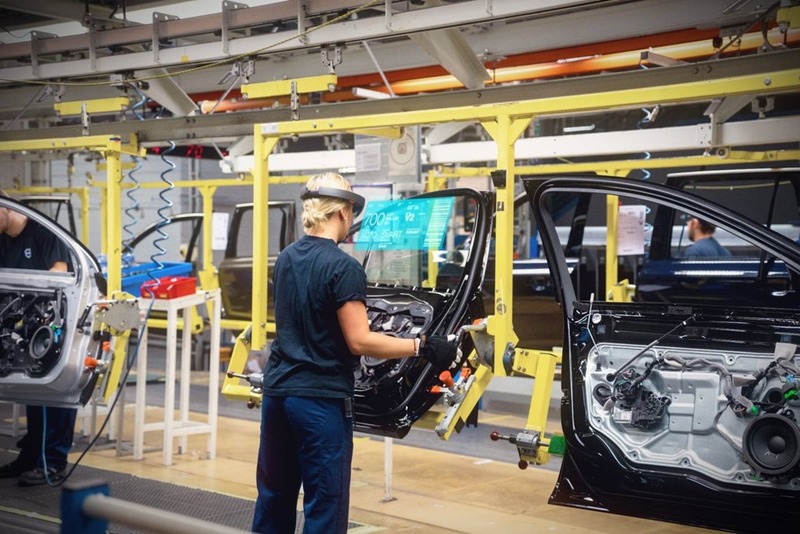 Today’s HoloLens demonstration was conducted at Microsoft’s global headquarters in Redmond, USA, and showed how mixed reality might be used by customers to configure cars in three dimensions. With HoloLens, a powerful, wearable computer, holograms are mixed into the physical world. “HoloLens offers the freedom to create a bespoke experience which customers can steer themselves. 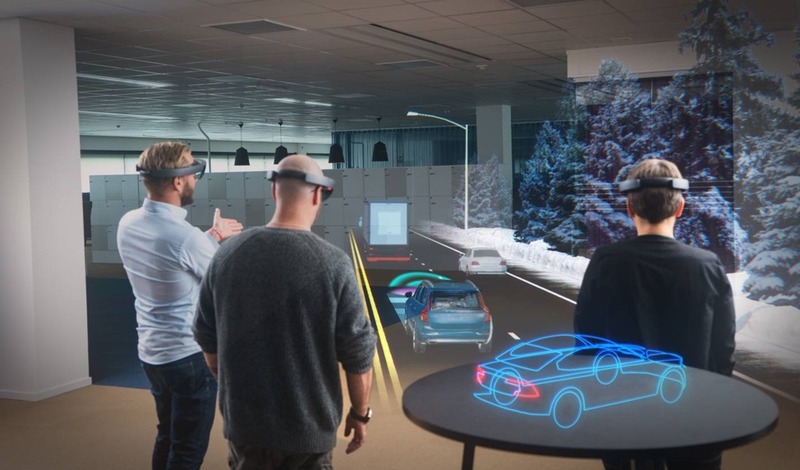 Imagine using mixed reality to choose the type of car you want – to explore the colours, rims, or get a better understanding of the features, services and options available,” said Björn Annwall, Senior Vice President, Marketing Sales and Service at Volvo Cars. 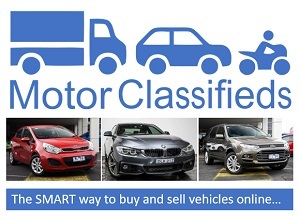 He added HoloLens technology might also liberate dealers from more traditional sales environments and allow them to take a car configurator out on the road in small Pop-Up stores, shopping malls or on the high street, opening up new sales channels and introducing cars to a far larger potential audience. 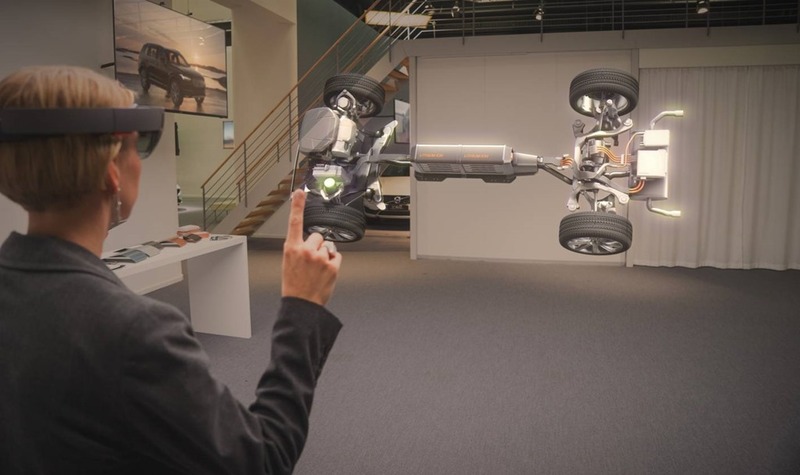 At the HoloLens demonstration today, participating journalists were also given a mixed reality preview of Volvo’s new S90 premium sedan, which will be unveiled in reality at the North American International Auto Show in Detroit in January. Today’s event offered an indication of the potential of mixed reality to transform the relationship between the customer and the car. Journalists were able to experience Volvo’s new sedan and its latest autonomous driving technology in 3D before the car has even been built and launched. “We are thrilled to be working with Volvo Cars to reimagine what is possible in car design, discovery and purchasing. We are excited to be at this intersection of technology and human-centric design with Volvo,” Scott Erickson, Senior Director, Microsoft HoloLens at Microsoft Corp.
Today’s demonstration marks the beginning of longer term cooperation between Volvo and Microsoft that will embrace a range of new technologies, all of which have implications for the automotive industry. One area of focus will be autonomous driving. Volvo Cars is a pioneer in car safety and is leading the way when it comes to connected cars and autonomous driving. It has announced a programme called Drive-Me in which 100 self-driving and connected cars will be given to real customers on real roads around the Swedish city of Gothenburg by 2017, the world’s largest autonomous driving experiment. Kevin McCann, Managing Director of Volvo Car Australia highlighted that “Volvo Cars has always put people first. Everything we do starts with ‘what can we do to make this person’s life better, easier and more comfortable?’”. We have always used this philosophy when we design our cars. Designing cars around people has led to many innovations over our 89 year history. “A collaboration such as this further entrenches Volvo as a leader in safety and an innovator in technology advancement”, added McCann.